This month’s Daring Bakers Challenge introduced me to a bread and technique I had never encountered in my quest for new bread recipes. Not that I have explored all the nooks and crannies of yeast bread…not yet anyway. Dutch “Tijgerbrood” (Tiger Bread) is also known as Dutch Crunch Bread. The magic is not in the bread’s flavor or texture, but in the topping – a crusty, crunchy, crackling finish that adds a new dimension to just about any brioche or plain sandwich bread recipe. I chose to make sandwich rolls for the challenge, which my crew split open, buttered and griddled, then topped with a heaping helping of savory pulled pork. My taste-testers would say more, but it’s impolite to talk with their mouths full. Their smiles and nods said it all – the rolls were a hit! For bread, in large mixing bowl, combine yeast, water, milk and sugar. Allow to sit for a few minutes until frothy and bubbly. Add oil and salt. Add 2 cups of flour; mix well. Gradually add remaining flour until mixture pulls away from bowl and holds together. Knead by hand or with dough hook until dough is smooth and elastic-y, about 5 minutes. Place in oiled bowl; flip so oiled side is up; cover and let rise in a warm, draft-free spot for an hour, until doubled. Allow to rise another 20 minutes; in the meantime, preheat oven to 350. Bake for 25-35 minutes or until tops are golden brown. Allow to cool completely, then use for sandwiches. Place any leftovers in a plastic bag for storage. Bottom line: with a couple added ingredients and a few extra minutes, you can use this topping to ramp up the flavor and texture of any sandwich bread recipe. Try it and see if it makes hungry brood roar with happiness! This was my first month to participate in the Daring Bakers’ challenge. Luckily for me, it was a fun and easy one: quick breads! The Dark Bakers’ February 2012 host was – Lis! Lisa stepped in last minute and challenged us to create a quick bread we could call our own. She supplied us with a base recipe and shared some recipes she loves from various websites and encouraged us to build upon them and create new flavor profiles. I have several quick bread recipes in my stash, but since it was a challenge I decided to try a new recipe I’ve had my eye on for a while: Tiramisu Quick Bread. It called for mascarpone in the batter and a Marsala glaze, but I went in a different direction. I’m glad I tried it – it was a hit with my family and Mr. Official’s coworkers! In a bowl, combine dry ingredients; stir well. In a small bowl, combine cocoa powder, instant coffee and cold coffee; stir to dissolve. Set both aside. In a mixing bowl beat cream cheese until fluffy – 2 to 3 minutes. Gradually add sugar in a slow, steady stream and continue to beat until it’s fully incorporated. Add eggs one at a time and mix until well blended. Add dry ingredients and buttermilk, alternating between them. Start and end with flour, but do not overmix. Place 1/3 to 1/2 the batter in another bowl and stir in the cocoa/coffee mixture. Place half the remaining batter in the greased loaf pan. Add the cocoa/espresso batter. Top with remaining batter. Bake for 50-60 minutes or until toothpick inserted comes out clean. 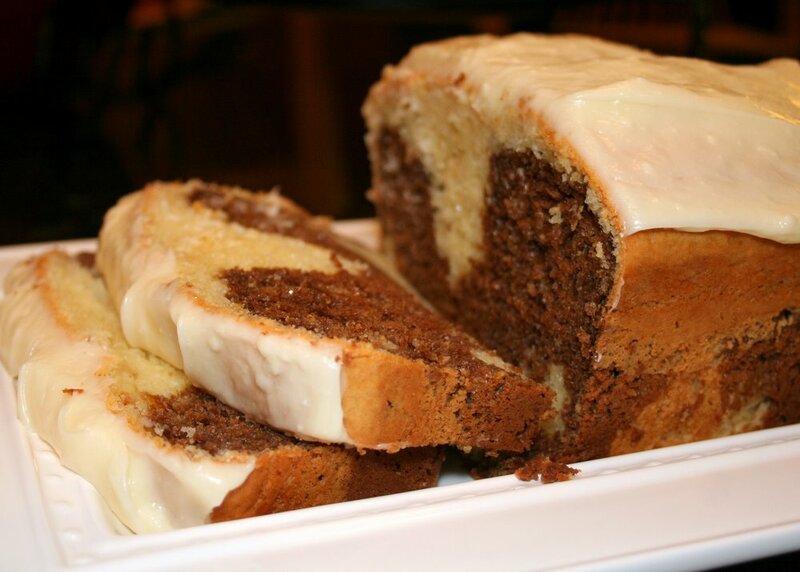 Cool and remove from pan; glaze with cream cheese frosting. We found the espresso taste was most noticeable the day it was made; by the second day, the flavors had mellowed somewhat. But no one complained, and it quickly vanished! We’re nearing the home stretch with this miniseries of pumpkin recipes. 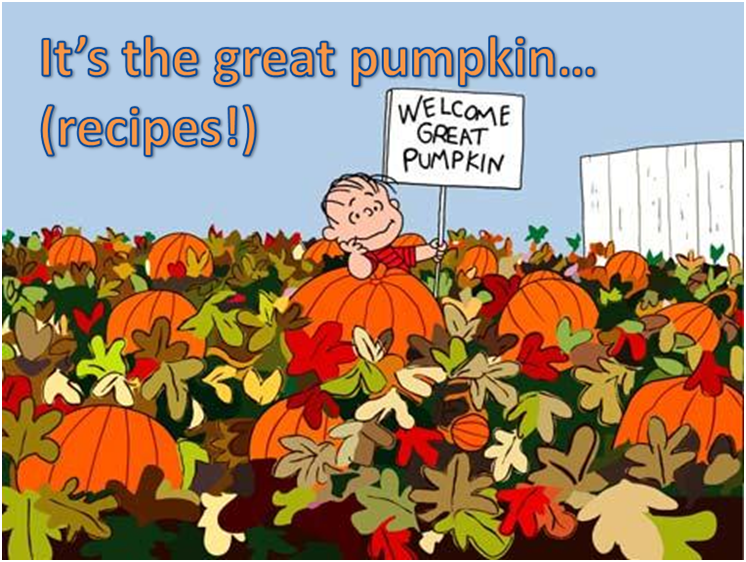 As witnessed by my posts over the last few weeks, most pumpkin recipes are sweet: pies, cakes, cookies, muffins, donuts, etc. And most of them partner cinnamon (and often nutmeg or allspice) with the pumpkin to achieve that familiar “pumpkin” flavor. 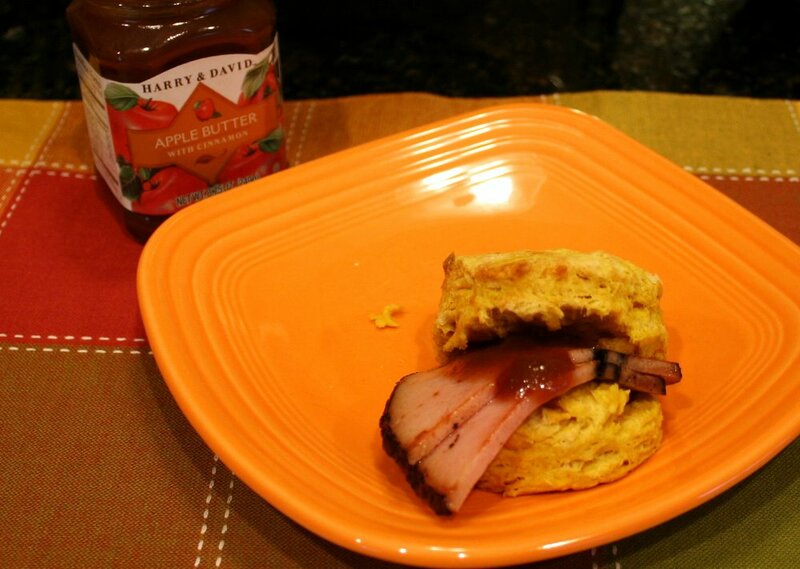 This week will take us in a more savory different direction: pumpkin biscuits. if you look around, you’ll find there are recipes for sweet biscuits featuring pumpkin or sweet potato puree, with brown sugar and the traditional spices. But this one (adapted from Country Living) is decidedly not sweet. Instead it has a yin and yang of cayenne pepper and ginger, and only a small squeeze of honey; no sugar, no cinnamon. 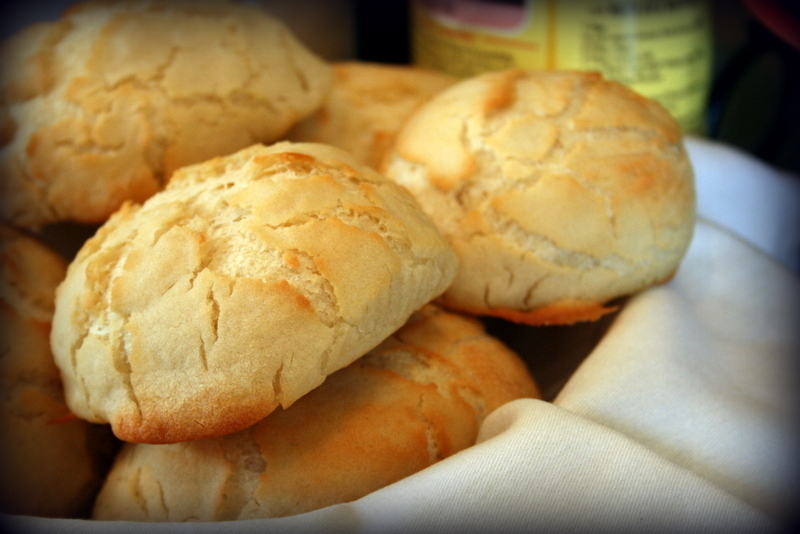 The biscuits can be eaten warm and buttered or slathered with apple or pumpkin butter. Or – as you can see here, I upped the ante with slices of Black Forest ham (country ham would be total awesomeness, but I didn’t have any on hand) and a dollop of apple butter for a yummy flavor combination that would be perfect for a holiday breakfast or brunch spread. Preheat oven to 400. Lightly grease a baking sheet or line with parchment paper; set aside. In a large bowl combine all dry ingredients until blended. With a pastry knife, cut in the cold butter until the mixture resembles coarse meal. 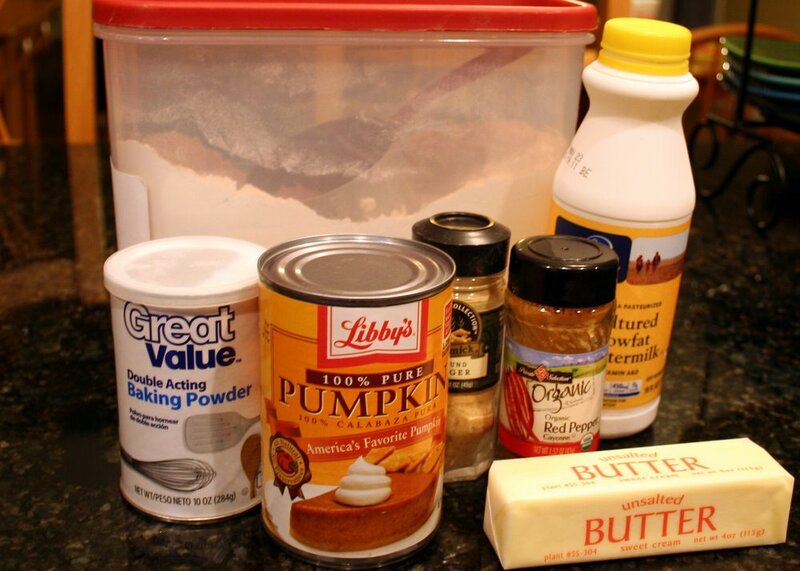 In a small bowl, combine the pumpkin puree and honey; add to the flour mixture just until blended. Mix in buttermilk until the mixture clings together. Turn out onto a lightly floured surface and lightly knead and fold douh a half-dozen times. Pat out 3/4 to 1-inch thickness and cut with a biscuit cutter or drinking glass. I used a 2-inch cutter. Place on baking sheet leaving an inch or so between biscuits. Press scraps together and cut again until the dough is used up. It will make 12, 2-inch biscuits. Bake for 25-30 minutes or until golden brown; transfer to wire rack to cool slightly before serving. Best served warm. There are so many delicious recipes with pumpkin these days, I thought I’d try to feature one (or two) a week through Thanksgiving. Since I’m also trying to work off a few excess pounds before the holidays, I warned Mr. Official that he’s going to be schlepping some seriously fattening foods to share with his staff. It’s one of the laws of physics: high-calorie foods diluted among many eaters does no harm. We’ll start off with a quick bread. My all-time favorite bread is banana nut bread, and recently a friend asked me if I had ever made it without the bananas (she’s not a fan of the yellow fruit.) 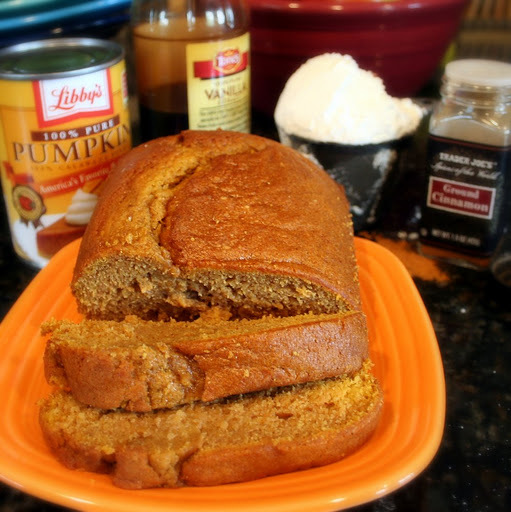 I hadn’t, but I scrounged around and came up with a few alternatives that were similar in other ingredients, including a strawberry jam and nut bread recipe that has been passed down from mother to daughter in our family, and this pumpkin-spice bread recipe. I’ll try to post the strawberry bread recipe closer to Christmas. Directions: Heat oven to 350. Generously grease a 9×5 loaf pan (or 2-3 mini loaf pans) with shortening. Don’t use spray or butter – trust me. Cream butter and sugar together. Add eggs and vanilla; mix well. Add dry ingredients and mix until just blended. Add pumpkin puree and sour cream or yogurt. Pour into prepared pan and bake for 60-70 minutes, or until a toothpick inserted comes out clean (don’t overbake.) Slide a thin blade around the edge to loosen from pan; invert onto cooling rack. Allow to cool completely before slicing. Wrap loaf in a tea towel to store overnight, or let cool completely and freeze for no more than a month. 1. At a minimum, throw 1/2 to 3/4 cup chopped nuts into the batter. Preferably pecans, but walnuts would work, too. 3. Cream cheese glaze (1/2 cup powdered sugar, 1/2 cup cream cheese, softened, 1/2 teaspoon vanilla extract, 3 tablespoons fresh orange juice, beat together until smooth; drizzle over loaf after removing it from the pan.) Garnish with chopped nuts if desired. I’m not sure which magazine I clipped this recipe from but it’s been my go-to sweet roll recipe for many years. The heavy, rich sweet dough recipe is versatile enough to be used in most sweet roll recipes (just roll it the way you want it and add your choice of filling.) It is also flexible: you can make the rolls start-to-finish all at once, or you can refrigerate or even freeze the dough to finish and bake later. My family’s favorite are pecan sticky rolls, although orange/coconut rolls are near-and-dear to my heart as well. Both options are explained below and they are wonderful to make ahead and have on hand to bake up fresh for special holiday breakfasts. Stir yeast into water in small bowl with 1 tablespoon of the sugar; stir until dissolved and let stand about ten minutes until it foams. Turn onto lightly floured surface and knead 5 minutes until smooth. Shape into ball and place in oiled bowl, turn so greased surface is on top. Cover loosely with plastic wrap and refrigerate for 4 hours or overnight, up to two days. When ready to use, remove dough from refrigerator and punch down. Turn onto lightly flfoured surface and knead briefly. Divide into 2 or 4 equal balls (2 yields two 9×12 pans; 4 yields four 8- or 9-inch pans.) Flatten slightly; cover and let rest for 20 minutes. wrap tightly in foil and freeze for up to two months, let thaw in refrigerator overnight, then allow to come to room temperature and bake at 350 until done. For cinnnamon rolls, divide dough into two portions; roll each into a 12×18 rectangle, smear generously with butter, sprinkle with cinnamon and brown sugar, then roll up from the long end; cut into 12 rolls and place in greased 9×12 pan. Can be glazed or frosted as desired. For orange sweet rolls, divide dough into 4 balls. Roll each ball into a 12-inch circle, smear with butter, sprinkle with sugar and coconut. Cut into wedges and roll up crescent-style. Place in greased pan (each of the 4 balls will make a 9×9 pan or the entire batch will fill two 9×12 pans.) Allow approximately 25 minutes for baking time but check at 20 minutes. Orange glaze: While the rolls are baking combine 1/2 cup butter with 3/4 cup sugar, 1/2 cup sour cream and 2 tablespoons orange juice in heavy saucepan. Bring to a boil over medium heat. Boil, stirring constantly, for 3 minutes. Pour glaze over roll immediately after removing rolls from oven. You can sprinkle with more coconut if desired. Serve warm. delectable cheese “biscuits” (really more like muffins) which they serve up hot and fresh while you’re waiting for your entrees to arrive. It’s a good thing they’re generous with those muffin-biscuits, because our family tends to devour them as soon as the server plunks down the basket. If we’re feeling bold, we just ask for a double portion to start with and save the waiter a trip. Preheat oven to 400. Generously grease 24 mini-muffin tins. Mix dry ingredients together, then quickly fold in wet ingredients just until moistened. Spoon into muffin tins; bake for 10-15 minutes or until top springs back or toothpick inserted in center comes out clean. Do not over-bake. Serve warm.